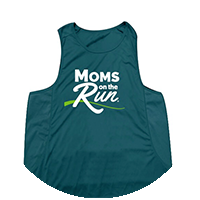 ​​Moms on the Run is an instructor-led fitness program with coaching to motivate, educate and encourage you on your journey. You'll make new friends, find accountability and have fun while working towards a healthier lifestyle. Our 18-week Signature Training Program offers programming for walkers to beginning runners to experienced runners. We offer classes with cardiovascular interval training for all levels concluding with strength training, stretching and education. Our Learn to Run program will help you safely build up to your first 5k race. Walkers and experienced runners will be encouraged to follow an interval training schedule designed to maximize your fitness levels. We also offer weekly steady paced cardio classes designed to help build endurance and offer an option to increasing mileage. Our newest options include Sole-ly Strength & Toning to strengthen and tone your entire body in a 55-minute class period, marathon training, and trail running. There is something for everyone! Walker or runner, you will start at your own level and progress throughout the season. *Marathon Training, Trail Running and Extra Endurance will utilize different trail systems within our region. ​​Click any button below to view additional payment options - pay in advance and save. ​Attend 1 interval training session a week with an add-on endurance run or strength training class. ​Attend 2 interval training sessions a week and get a strength, endurance, marathon training or trail class for free! Attend any amount of classes each week at any NW Metro location, includes interval, strength, endurance, marathon training and trail running classes. ​Attend up to 20 classes during the 18 week program at any NW Metro location. Choose any combo of classes. *This option is intended for those who are interested in regularly attending the same class time each week. When purchasing a payment plan the first payment is charged at the time of registration. Our payment plans divide the cost of registration over a pre-determined set of months. Payment plans are not a month-to-month contract that can be cancelled, but rather a commitment to purchase the program in installments. Due to expenses incurred at the beginning of our season, we are unable to offer refunds or cancel upcoming payments for any reason after two weeks prior to the class start date. For more information on our refund policy please see our FAQs. Our registration fee includes a free tank or t-shirt, but for a limited time get an extra tank, tee, or long sleeve pullover for a discounted price! Save 30% on tanks and tees with a promo code during registration only; purchase in our online store and items ship free to your franchise location to be distributed during the first week of classes. Exact styles are subject to change. Colors may not appear accurate on your screen. Use coupon code 2019MOTRfit and save 30% on the price of the t-shirt or tank. by our National Fitness Director, Olympian Carrie Tollefson. ​schedule for our 18-week Signature Training Program. Our signature training classes use cardio intervals to improve metabolism and cardiovascular endurance. Beginning runners will learn to run, moving from mostly walking to running as they progress through the 18-week program. More experienced runners and walkers will use intervals to improve their speed and fitness levels. A short strength training component, stretching and education concludes the class. Hello! Thank you for visiting! 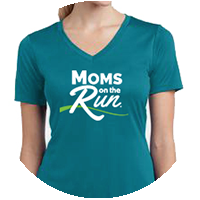 Moms on the Run has become one of the most-loved parts about my life. The ladies are wonderful and the friendships I have made are genuine. 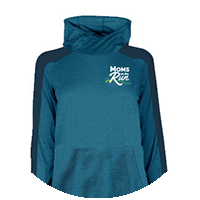 I became involved with Moms on the Run in January 2017. My sister encouraged me to join Dome Divas, the winter Moms on the Run program, so I did. There was no turning back! My life has been more positive and more goal-oriented ever since. Throughout Dome Divas, I had been in the process of studying for my group fitness certification through the American Council on Exercise. Near the end of the season, I asked if there were any available opportunities with Moms on the Run. I was hired as an assistant head coach and then moved to a head coaching position in the Spring of 2018. In July 2018, I became the new franchise owner for the NW Metro area (Brooklyn Park, Maple Grove and Plymouth locations). I have been a runner since I was 12 years old and it runs thick in my blood! I love the running community, the atmosphere on race day and hearing about the latest gadget or workout plans. To continue building upon my knowledge and to be influential in our community, I am currently working on my certification in Pregnancy and Postpartum Fitness. I have also recently become certified in Barre Above and am CPR/AED/First Aid certified. Please let me know if I can be of help to you! At Plymouth Moms on the Run we love to run - no matter what the weather! We offer a variety of year-round programming to help you stay in shape and stay connected to our strong community of women. Our signature 18-week training program lets you attend classes from 1 to 3 times per week. We strongly recommend choosing an interval class at least once a week, which includes a higher level of structure and support. From walkers to runners, women will start at their own level and progress throughout the season. Change up your regular running routine and take your fitness indoors! The off-season is a great time to focus on strength training with our indoor HIIT class. Each 60 minute class combines strength training, cardio and endurance. You'll raise your heart rate and get incredible results. We'll also have options to layer up and keep up your endurance with outdoor weekend runs. Get details for the current season like the welcome packet, training plans and season dates.